The Liverpool Post is to close. The last Post will be printed on December 19; the website will go dark and the Business Daily e-edition fold. The details are here if you want to know more; I want to talk about the Post I remember, and love. When I joined the Liverpool Daily Post, as it was then, it was as deputy editor in 2007, second-in-commend to newly-appointed chief Mark Thomas, previously deputy editor on the title and a journalist already in possession of a long and distinguished career. While working on the Liverpool Post I discovered the amazing joy and interaction of social media and online, networked news. I remember ringing the Post’s then-digital editor, David Higgerson, from Preston where I was on the Journalism Leaders Course to ask him if he’d heard of Twitter. I had learned of and joined it just minutes earlier, he hadn’t come across it at that point so joined with enthusiasm – and seconds later he created the LDP’s first account too. I think we were one of the first regional dailies (I know the Birmingham Post, where Jo Geary was in situ was and the MEN – with then-digital editrix Sarah Hartley in charge, but can’t think of many others) to jump onto Twitter and we did it well. Sod modesty – the LDP was good at online. It had 150+ years of print history already but in digital the LDP found a new voice. The LDP Twitter talked to people, answered questions, told followers what we were up to, and what was going on, and I personally got to meet some really cool, clever Merseysiders who worked and played in digital spaces as a result. 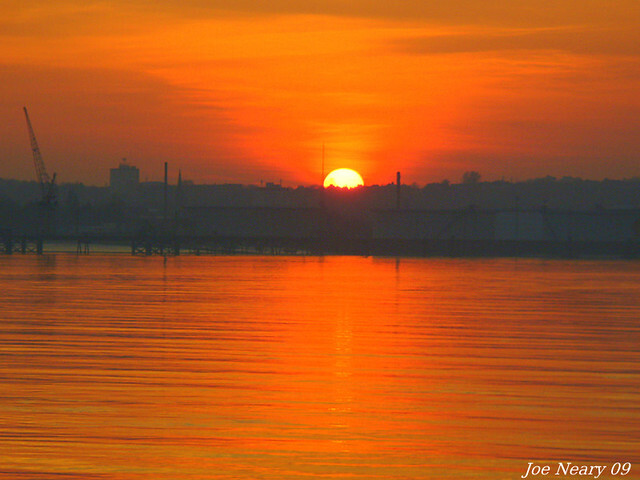 The photo of the sunset over Liverpool, at the top of the this post, is by Joe Neary, who I know as exacta2a, a fabulous photographer I met through our setting up the LDP’s Flickr group and becoming involved with the large, talented and vocal photographic community that sees Merseyside through a lens. In 2008 David and I went to Mark one day to pitch a bit of a mad idea – to liveblog the entire newsroom day, tell people what we were doing, stories we were working on, film bits if we could, and just open the whole process out. Mark signed up for the craziness, and we did this which was great and a bit ground-breaking (CoverItLive were very happy, I think, with the amount of press interest our day generated), and I personally learned a massive amount about the needs and hungry demands of live coverage (which had to be a learned skill for this print-era hack), how to find a voice on a live blog, and how to juggle multi-platform approaches. It was huge fun, absolutely knackering and still gives me the best sense of achievement. The Post is/was/always will be a great name. I worked with some of the smartest people in journalism there, had excellent stand-up yelling telephone rows with both Liverpool and Everton FC press types, made my first ever front page (it was terrifying the first time Mark went on holiday for a fortnight and left me in charge – then suddenly I didn’t want to hand the reins back) and wrote the only leader article of my editorial career that has ever sparked a letter of agreement from a reader. I will miss the LDP and, as much as I admire and champion the Liverpool Echo, I think Merseyside will be a poorer place for the loss of that familiar blue masthead. 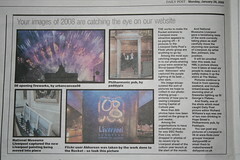 With regret I have to tell you that the Liverpool Post newspaper is to close after more than 158 years. Don’t Do Digital, just Do. A ‘how to blog’ talk got me blogging again. What should a local news source be?